Flu shots are available at no cost for all faculty and staff. Enter coupon code, FallFit25, at checkout to qualify for the waived enrollment fee. Read additional information about the program and how to register. Join YourLife on Tuesdays for a meditative practice. The benefits of meditation include reducing stress, improving concentration and increasing happiness. Meditation formats will vary from guided meditations to recordings and artistic meditation. Elizabeth Tuckwell will lead the guided meditations. No previous experience is necessary. Facilitated by Eric Budzynski of Religious & Spiritual Life, Mindfulness-based Stress Reduction (MBSR) is a program designed to guide participants toward cultivating a practice of mindfulness through techniques of body awareness, sitting and walking meditation, and mindful movement. Mindfulness is the experience of developing particular awareness to the present moment without judgment. MBSR fosters comprehensive personal wellness including an increase in emotional resilience and management of stress, anxiety, and pain. 8 Week Program: Wednesdays, October 10 - December 5 (no class on November 21), 5:30 p.m. - 8 p.m.
All-Day Retreat: Saturday, November 17, 9:30 a.m. - 4 p.m. Tuition: Employees $195, Students $100, Public $295. (Need-based scholarships are available.) Tuition includes a yoga mat and a copy of John Kabat-Zinn's Full Catastrophe Living. Read additional information about the program and registration. Sign up for a one-on-one consultation. Vicki Shanta Retelny, Registered Dietitian Nutritionist (RDN) can discuss strategies for eating a balanced diet, planning meals and grocery shopping. Vicki will assist you with setting realistic nutrition goals and provide motivational tips. 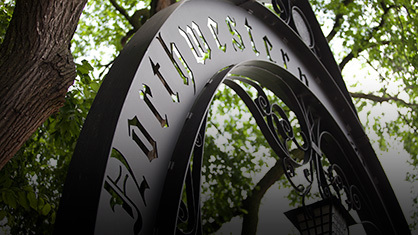 These 25-minute consultations are FREE for Northwestern faculty and staff. Read additional information about scheduling a consultation. "Take the First Steps to Investing"
A Fidelity professional will discuss the basics of investing, the importance of asset allocation and diversification, and how to identify your investment approach.